In this post we will study about Ocean – Ocean Convergence. Understanding Ocean – Ocean Convergence helps us in understanding the formation of Japanese Island Arc, formation of Indonesian Archipelago, formation of Philippine Island Arc and formation of Caribbean Islands. In the previous post, we have studied about Plate Tectonics, Interaction of plates – Convergence, Divergence etc. Collision of oceanic plates or ocean – ocean convergence. Collision of continental and oceanic plates or ocean – continent convergence. Collision of continental plates or continent – continent convergence. Collision of continent and arc or continent – arc convergence. In this post we will stick to Ocean – Ocean Convergence. Remaining types will be explained in future posts. In Ocean – Ocean Convergence, a denser oceanic plate subducts below a less denser oceanic plate forming a trench along the boundary. As the ocean floor crust (oceanic plate) loaded with sediments subducts into the softer asthenosphere, the rocks on the continental side in the subduction zone become metamorphosed under high pressure and temperature. After reaching a depth of about 100 km, plates melt. Magma (metamorphosed sediments and the melted part of the subducting plate) has lower density and is at high pressure. It rises upwards due to the buoyant force offered by surrounding denser medium. The magma flows out, sometimes violently to the surface. A continuous upward movement of magma creates constant volcanic eruptions at the ocean floor. Constant volcanism above the subduction zone creates layers of rocks. As this process continues for millions of years, a volcanic landform is created which in some cases rises above the ocean waters. Such volcanic landforms all along the boundary form a chain of volcanic islands which are collectively called as Island Arcs (Indonesian Island Arc or Indonesian Archipelago, Philippine Island Arc, Japanese Island Arc etc.). Orogenesis sets in motion the process of building continental crust by replacing oceanic crust (this happens at a much later stage. For example, new islands are born around Japan in every few years. After some million years Japan will be a single landmass because continental crust formation is constantly replacing the oceanic crust [more and more volcanism creates much bigger landform]). This explanation is common for all the island arc formations due to ocean – ocean convergence. In addition, we only need to know the plates involved with respect to each island formation. 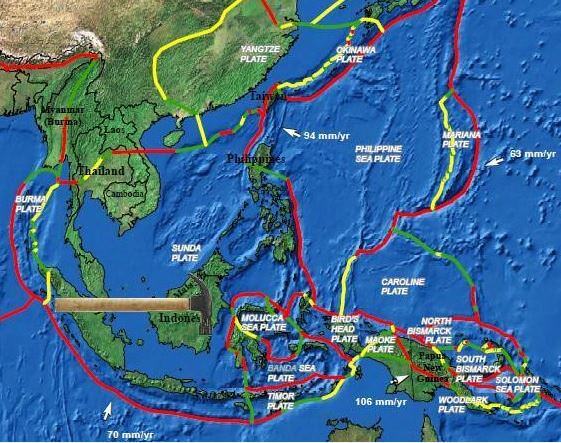 For the study of the formation of the Philippine islands, the most important of the major plates are: the Sunda Plate (major continental shelf of Eurasian plate) and the Philippine Sea plate. [The extreme southeastern portion of the Eurasian plate, which is a part of Southeast Asia, is a continental shelf. The region is called the Sunda Shelf. The Sunda Shelf and its islands is known as the Sundaland block of the Eurasian plate]. Philippine Island Arc system is formed due to subduction of Philippine Sea plate under Sunda Plate (part of Eurasian Plate). The trench formed here is called Philippine Trench. In case of Indonesian Archipelago, Indo-Australian plate subducts below Sunda Plate (part of Eurasian Plate). The trench formed here is called Sunda trench (Java Trench is a major section of Sunda trench). Formation of Caribbean Islands is also similar but here the plate interaction is complex due to the involvement of many minor plates. 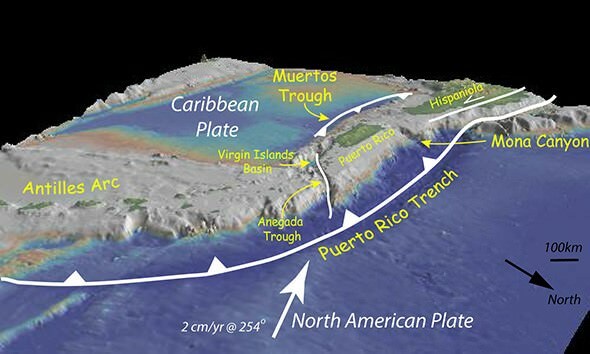 North American Plate subducts under the Caribbean plate and forms the Puerto Rico Trench. There is trough formation on the other side as well. Japan’s volcanoes are part of three volcanic arcs. The arcs meet at a triple junction on the island of Honshu. Northern arc is formed due to the subduction of the Pacific Plate under the Eurasian Plate. The trench formed is Japan Trench. 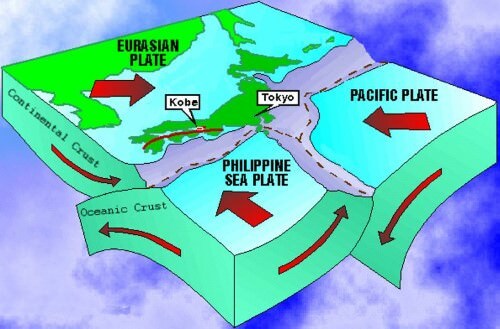 Central arc is formed due to the subduction of the Pacific Plate under the Philippine Plate (island formation is not significant along this arc). The trench formed is Izu Trench. Southern Arc is formed due to the subduction of the Philippine Plate under the Eurasian Plate. The trench formed is Ryukyu Trench. Japanese island arc was very close to the mainland. 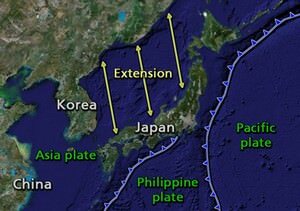 The force exerted by the Pacific plate and the Philippine plate tilted the arc towards its east giving rise to the Sea of Japan. I suggest you to rely on mrunal.org answer key to know how to write an answer. Island arc: narrow chain of islands which are volcanic in origin. Island arc is usually curved. The convex side will have a trench if it’s an oceanic arc. Japan, Philippines, Hawaii etc. are oceanic arcs. Cascade range, Western Chile range etc. are examples of continental arcs. Indonesian archipelago and Philippine archipelago are located along the plate margins. Both the archipelagoes were formed due to ocean – ocean convergence. In ocean – ocean convergence, two oceanic plates converge or collide. 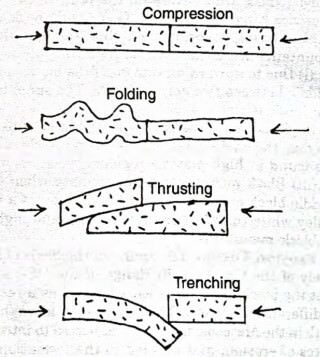 The denser plate subducts into the asthenosphere below the convergence zone and forms a trench at the surface. 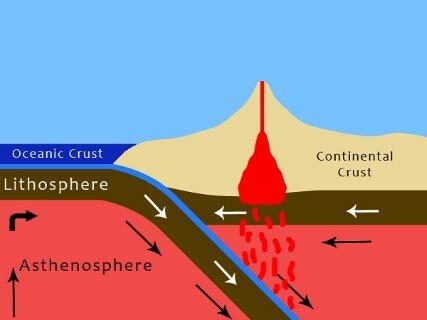 This region below the convergence zone is called the zone of subduction. In the zone of subduction, due to high temperature and pressure, the rocks undergo metamorphosis and the sediments in the oceanic plate melt to form magma. The magma being lighter moves upwards. It is at high pressure due to the buoyant force offered by the surrounding denser medium. At the surface magma escapes in the form of volcanic eruptions. The magma solidifies creating a volcanic layer. Subsequent volcanism builds layer over layer and a volcanic mountain if formed. Such mountains are formed all along the converging edge above the less denser plate. Over time the mountains merge and oceanic crust gets transformed into continental crust. And this is how Indonesian archipelago and Philippine archipelago are formed. If asked for 10 marks = 100 words. Indonesian and Philippine archipelagos are formed due to ocean – ocean convergence. In ocean – ocean convergence, the denser plate subducts into the asthenosphere. This region below the convergence zone is called the zone of subduction. In the zone of subduction the rocks undergo metamorphosis and the sediments in the oceanic plate melt to form magma. At the surface magma escapes in the form of volcanic eruptions. constant volcanism builds layer over layer and a volcanic mountain if formed. Such mountains are formed all along the converging edge. Basaltic magma flows out along the divergent edge (Fissure type volcano). Basaltic magma = less silica = less viscosity = flows over a large distance and hence causes see floor spreading but not volcanic islands. On the other hand, along convergent boundary, andesitic or acidic magma flows out. Andesitic or acidic magma = more silica content = higher viscosity = doesn’t move quick and also solidifies quickly. This helps in building layer over layer in a narrow region = huge volcanic mountain. 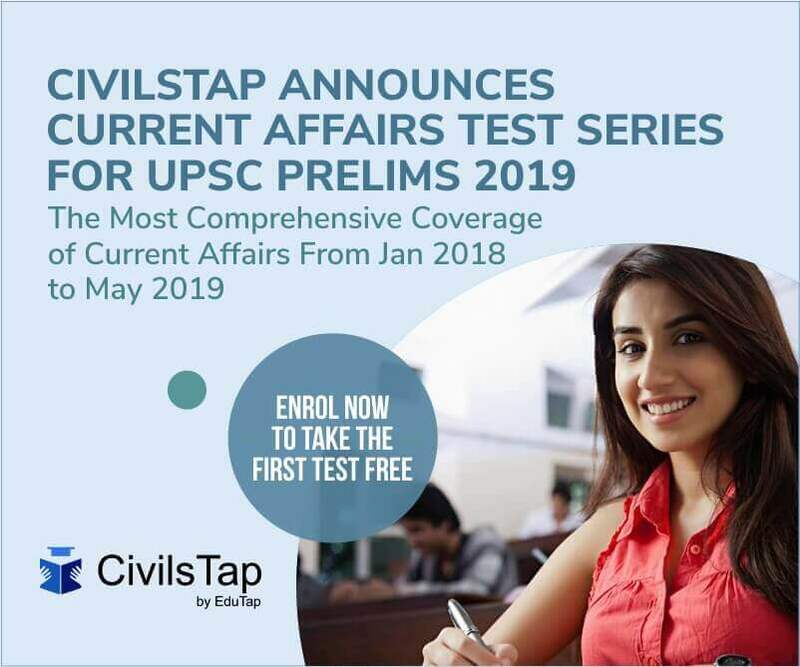 Primary References: NCERT Geography, Spectrum’s Geography [Amazon and Flipkart], and Savindra Singh [Amazon and Flipkart] and many websites.